You won’t need to overspend on a luxury vehicle with the current BMW incentives available to Manchester drivers. When you work with BMW of West St Louis, you can drive home in that new 5 Series you’ve had your eye on without the stress. View our current BMW incentives before stopping by our dealership near Ballwin. 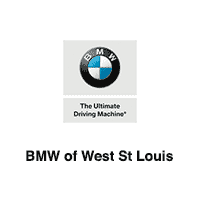 When you’re ready to purchase your next new vehicle, rely on the auto finance offers at BMW of West St Louis, where our finance team will take care of you every step of the way. In the meantime, use our online auto finance calculator to estimate what your monthly payments will be. We’re dedicated to making sure you get into the vehicle you want for a price that you’ll love.